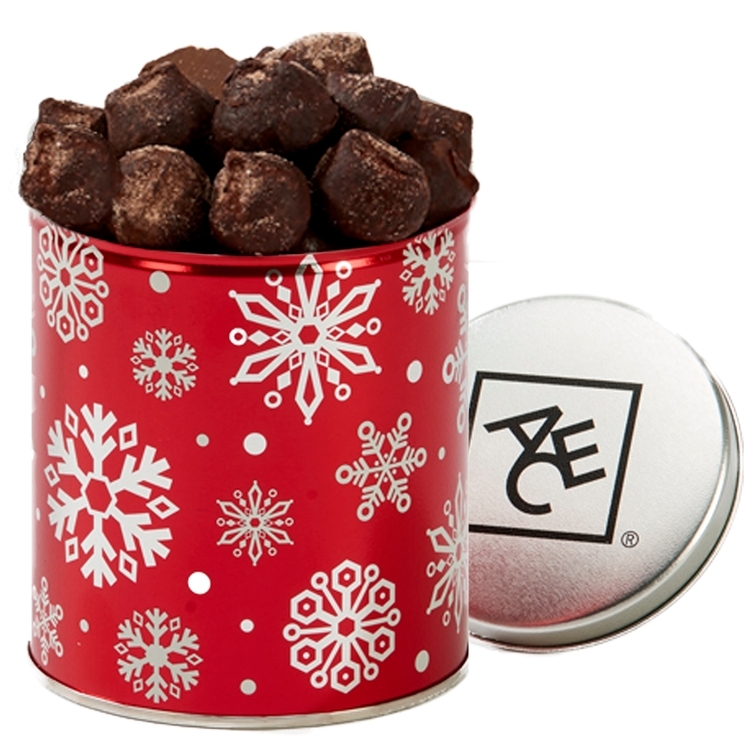 Our silver Quart Tin comes generously filled with cocoa dusted chocolate truffles. Features a 4-color process decal or a 1-color direct imprint on the lid. We also now offer an optional 4-color process wrap-around body decal that is sure to make you look like a champion. Our tins can be filled with a variety of options, please call. These Christmas tins are great as a holiday or corporate food gift.